Did you receive a tax refund from your 2015 income tax return? Traditionally, the tax refund was a license to splurge, using it for vacations, shopping, and similar indulgences. However, times have changed. Now, Americans are more financially cautious and more refund checks are going toward future goals in the form of savings or toward reducing debt. If you’re leaning toward that latter use of your refund, let me share some ideas of what you can do with your tax refund windfall. Pay down credit card debt: It seems like a BFO (blinding flash of the obvious) but if you’re carrying credit card debt, your tax refund could be a key player in paying it off. Start with your highest interest rate card. Or, if you can pay off several cards with your refund, do that for the sense of accomplishment and simplification of your life. Add to your Emergency Fund: You’ve heard about it. You know you’re supposed to do it. This may be your moment. The typical goal for an emergency fund is 3 to 6 months living expenses. That’s a wide range and a lot of variables determine if it should be only 3 or closer to 6 months. A rough rule of thumb is you can lean toward the 3 months’ goal if it’s just you and you could replace your job easily. If you have a family, you’re the primary breadwinner, and replacing your job could take a while, aim for 6 months or more. Contribute to your 2016 Traditional or Roth IRA: Get ahead of the game! Invest some of your refund toward your retirement. You don’t have to fund the entire amount right now but everything you invest today starts working for you today. A corollary to this suggestion is making a contribution to your grand/child’s college savings fund. However, only do this if your retirement savings are on track. Never forget that someone will loan you money to go to college but they won’t loan you money for your retirement! Make a principal payment on your mortgage: If you own your house, consider making a principal payment on your mortgage. You could save months (if not years) on the life of your mortgage by chipping away at the principal now. Not having a mortgage is truly liberating in retirement. Save for holiday shopping: You know it is coming. Get ready for it now! I’m sure you’re getting the idea that you can do so much more than just go shopping with your tax refund. Not that there’s anything wrong with that! 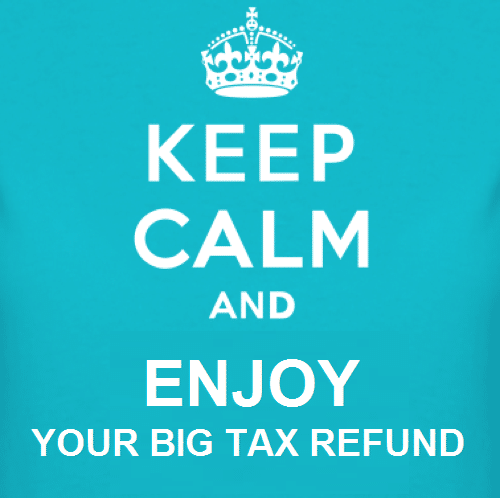 Certainly enjoy a modest treat with your refund but realize that it’s coming from your own pocket—not some magnanimous Uncle Sam. A final tip is to re-consider getting that refund at all. For most taxpayers, if your refund is much more than $1,000, you may want to adjust your tax withholdings on your income to have the taxes withheld more closely align with what you’re going to owe. I’m never very popular when I suggest this because fear of underpayment often overrides the concern of giving the government a short-term loan with an over-payment. However, if you saved that $100/month into your Emergency Fund rather than sending to the government, you’d have it available if you needed it for taxes and would have earned some interest on it in the meantime. It takes some discipline but you (and your future) are worth it! Evelyn Zohlen is President and Certified Financial Planner of Inspired Financial. Inspired Financial is a boutique wealth management firm that empowers women in transition to secure their future and achieve the goals that are important to them. 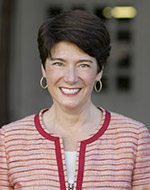 Whether the transitions are planned (like selling a small business or a late-in-life career change) or unplanned (like divorce or loss of a spouse), we strive to be the “kind of advisor our clients didn’t know existed.” Learn more about Evelyn.